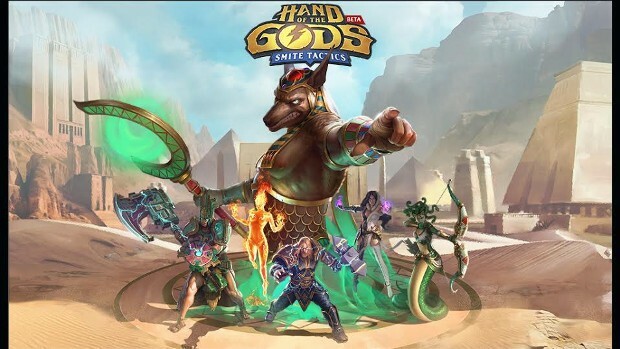 Hi-Rez Studios’ turn-based strategy card game Hand of the Gods is launching on Steam via the platform’s Early Access program. This release follows a patch that makes several improvements — both in- and out-of-game. They include refinement of Combat Logs and the addition of Clans and a Deck Tracker. The Steam launch also adds a new Starter Pack containing one of 7 core packs and a skin for Ra, the leader of the Egyptian pantheon. Hi-Rez has also revealed plans to release the Hindu pantheon — the game’s 7th pantheon — in the near future. The pantheon will be led by Ganesha and will feature new Gods, creatures, and spell cards. STOP THE CARD GAMES, PLEASE GUYS!!!!! !